I have been a fan of Rangefinder Magazine since I began my photography career, and this Rangefinder Magazine spotlight is a huge honor. Early this winter, I was contacted by a writer from Rangefinder to ask if they could feature three of my images in their February 2018 issue. As I knew that the February 2018 issue would coincide with the dates of the WPPI convention, I was especially excited to be published! 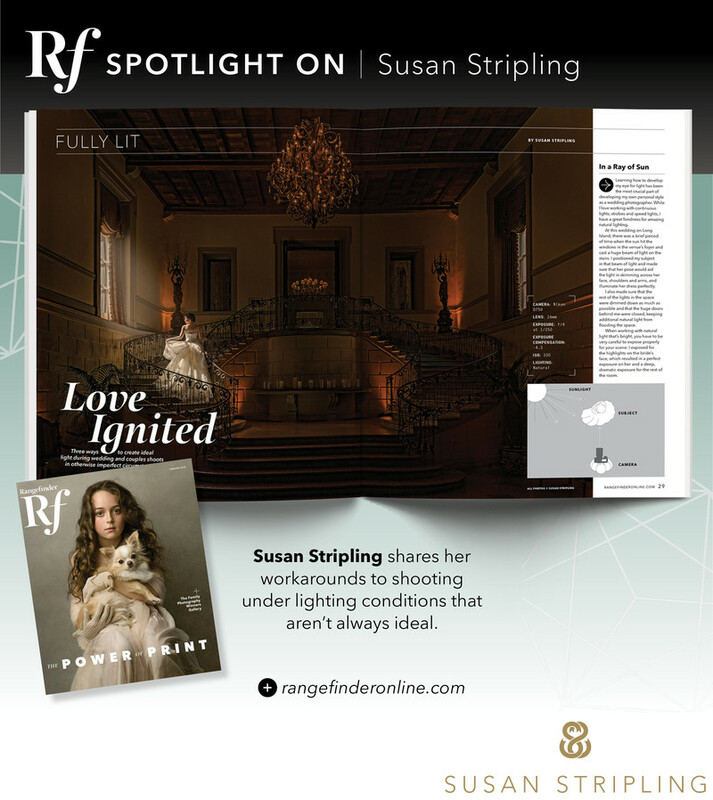 This Rangefinder Magazine spotlight showcases three images that I shot at real weddings, for real clients. How I positioned my subject in relation to the light source. What the exact camera and lighting settings were for all of my gear. I have always loved writing books for photographers, something I began back in 2008. Since then, I have continued to write workbooks, textbooks, and tutorials for my wedding photography education site, The Wedding School. One of my favorite things to write are detailed setups, just like this Rangefinder Magazine spotlight shows. I find it hugely educational as a photographer to see behind the scenes of an image, and to get in the mind of the maker. What was the photographer thinking when he or she set up their lights? How did he or she know where to position their subject? How was the pose decided upon, and then how did the photographer help the subject execute that pose? What were his or her camera settings? I hope that anyone who reads this Rangefinder Magazine spotlight in their February 2018 issue enjoys it as much as I enjoyed being asked to contribute! Educating photographers is a huge passion of mine, and I always love to give back to the community that has given me so much.